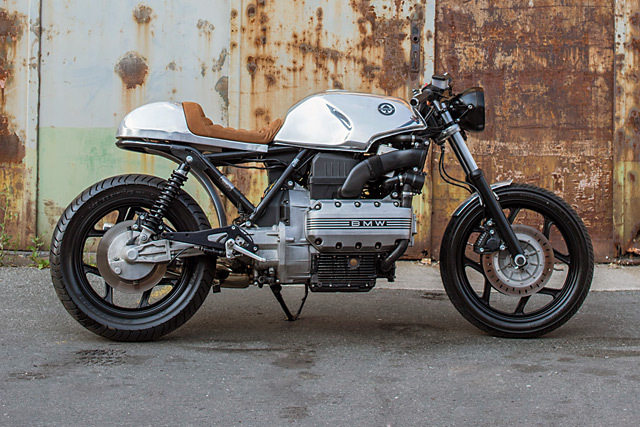 Some bikes lend themselves to customisation more than others. Twin-shocked stalwarts like the SR500 and CB750 are so easily stripped back and chopped, lowered and lightened it takes something pretty special to grace the pages of Pipeburn. 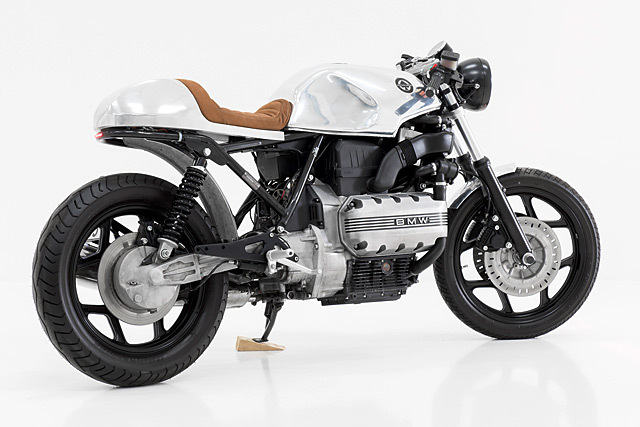 Other bikes, like this 1985 K100RT from Nuremberg’s Motofication, take considerably more finesse, planning and cutting discs to be transformed into something truly attention-grabbing. 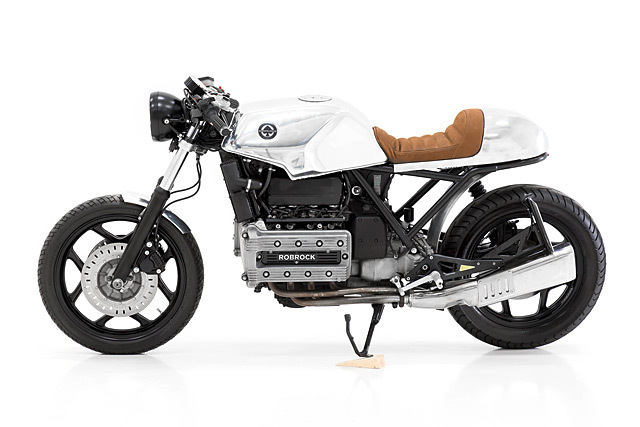 After an apologetic phone call explaining that no, he hadn’t bought the K café racer, he told the customer he’d love to put together something for him, but he’d need to hunt for his own suitable donor bike as a starting point. 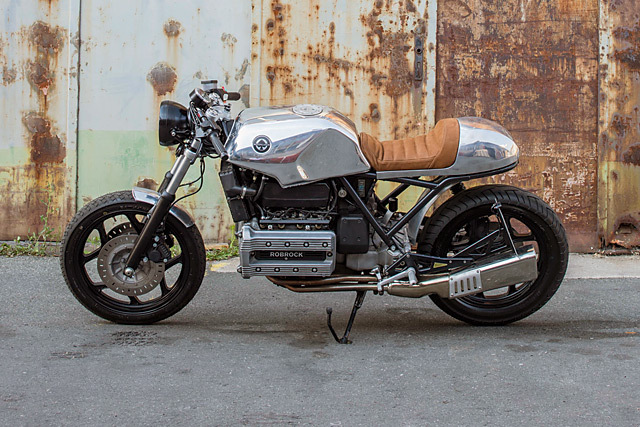 Thankfully, the client understood and in a short period of time found himself a clean metallic grey BMW K100RT which he packed up and shipped to the workshop. After he swung by to talk over the options with Marc and the team, they were ready to go to work. 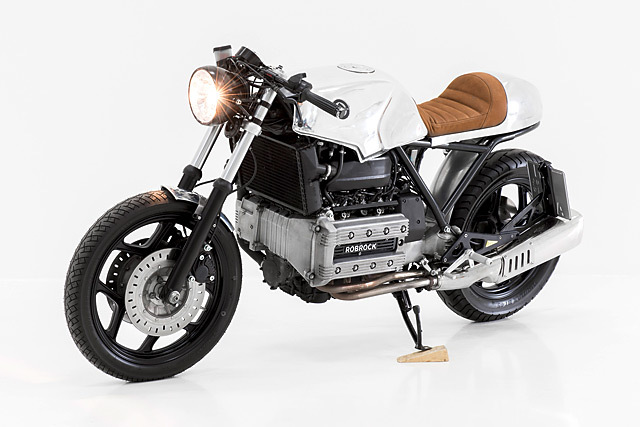 They were given carte blanche to design everything, with the only caveat being he wanted some Motogadget-gadgets to hold the build together. ‘We started in December 2014, ripping everything off and cutting up the frame’ Marc says. ‘We cut the frame and bent it so the lines would flow a little better.’ The workshop cut down the tail too, welding a new loop in which holds the new brake and tail light unit together with the aluminium cowl. 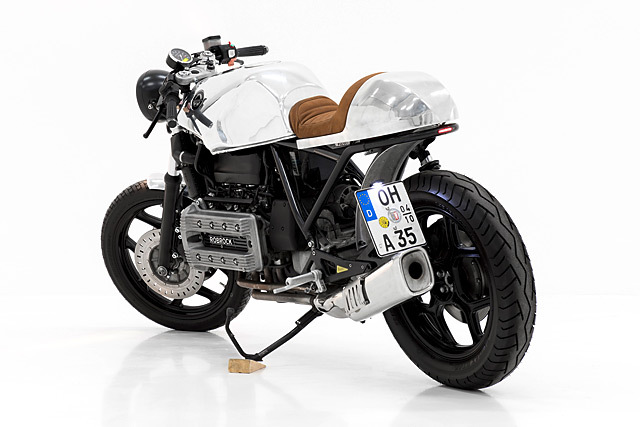 The seat was sourced from a local saddler, Martin Kuethe while some aftermarket rearsets, last manufactured in the 1980s, were tracked down and mounted. That kind of frame work is pretty much par for the course, but other aspects of the K100 were a little tricker to work with. 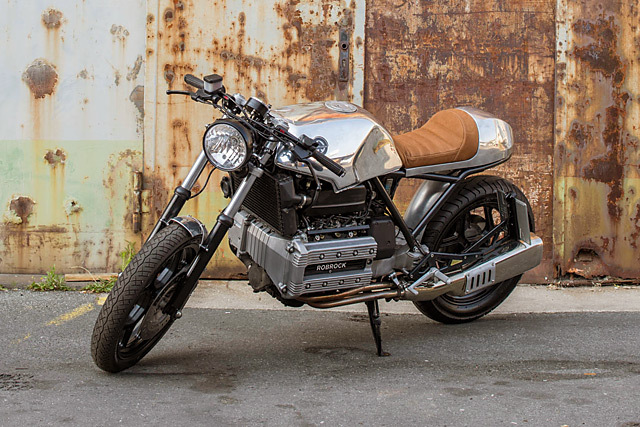 ‘The BMW K is full of electronics. Bosch fuel injection, digital speedo signal, gear display, brake light safety system and so on. We had to run those through a little device from a flying brick forum member named ‘Maru’. We improved it a little, managing to run the device and battery in the tail section.’ The finish was already decided on, with Motofication opting to use as little paint as possible. The fuel tank and tail have been polished, while powder coat was only used sparingly.